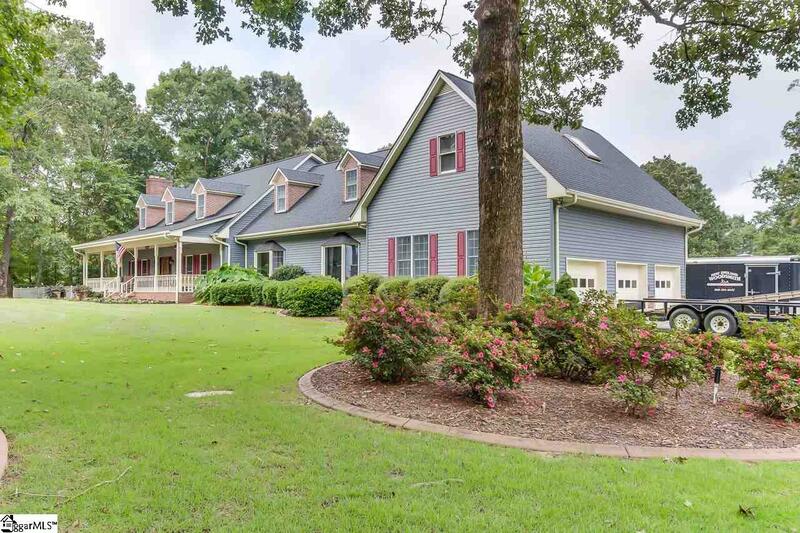 This Stunning, Premier home is Located in the highly desirable Fountain Inn area sitting on over 5 acres of outdoor living at its finest. 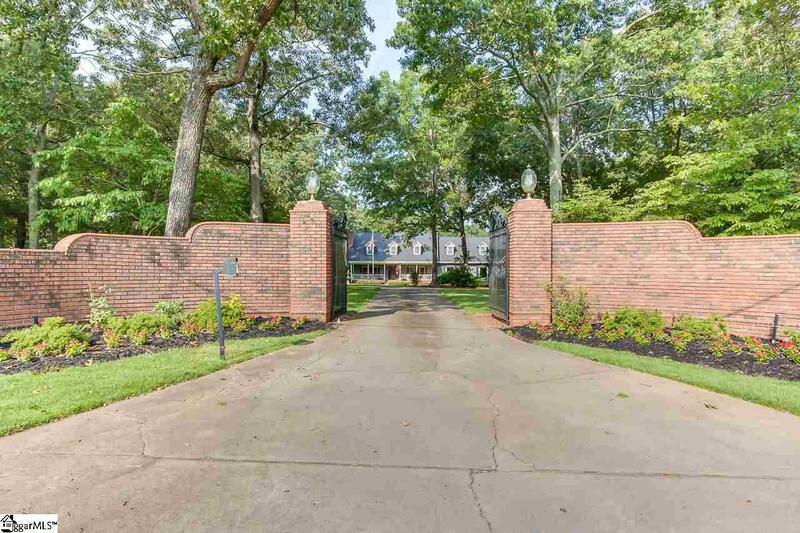 The driveway entrance alone will take your breath away! 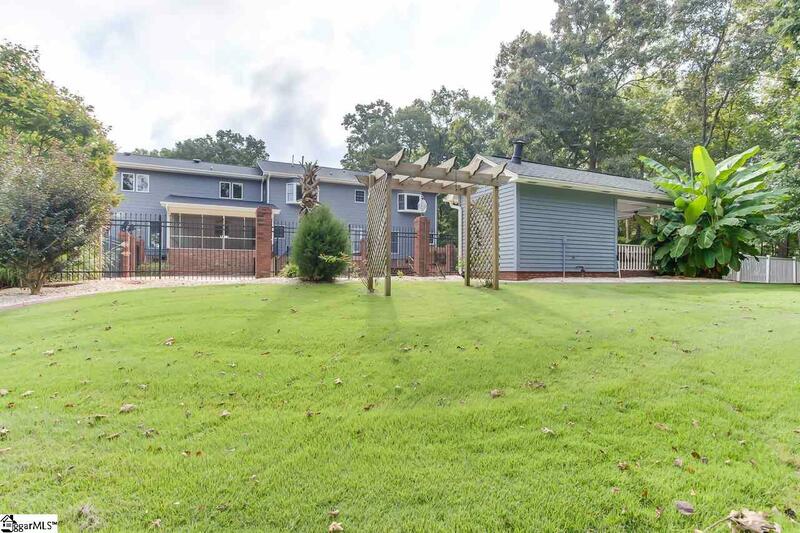 Accented with beautifully, mature landscaping, inground salt-water pool, pool house, hot tub, 6 detached car garage with workshop and rv/boat shed. Entering the home you'll appreciate the den offering a (rock) gaslog fireplace and exit to the fenced in side yard.The formal dining room has plenty of space for those special occasions.The master suite is situated on the main floor with two walkin cedar closets, brand new tiled shower,jetted tub, two separate vanities with granite countertops and an exit to the outside featuring a 5 person hot tub. The beautiful staircase as well as the two-story foyer gives an introduction to the 2 additional bedrooms overlooking the private manicured backyard and 3rd bedroom/billiard room where you would only need to replace wall. The rec room is a great entertaining space and includes tons of storage. Upstairs also offers another private study/office with a built in desk. The gourmet kitchen offers granite, under counter lighting, two built in ovens, kitchen island and plenty of space for multiple cooks. The breakfast area has lots of natural light perfect for coffee, quiet time or bird watching. 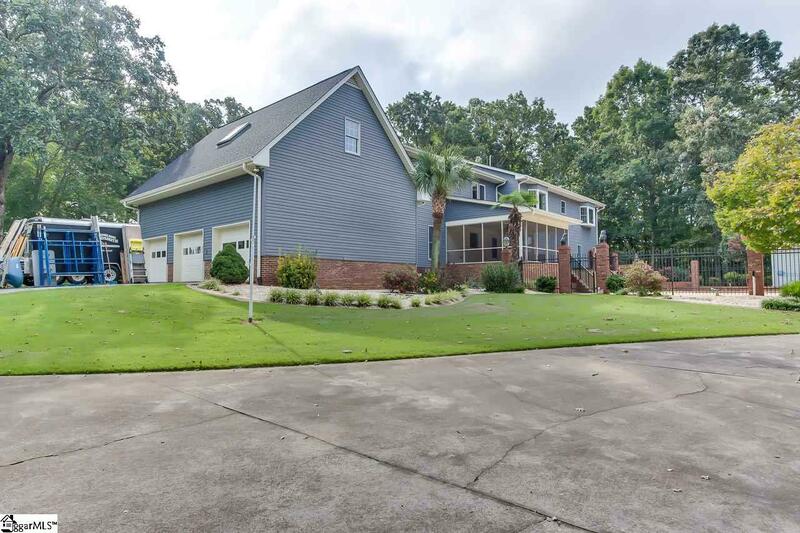 You'll love spending time with friends/family in this magnificent family room featuring marble floors, access to upstairs and exit to the 3 car garage.The screened in porch over looks the luxurious landscaping as well as the patio, inground salt water pool and the pool house. The parcel number shows 10 acres but at this price only 5 acres will remain with the house. If your interested in the other 5 acres that will be an additional $100,000. Listing provided courtesy of Angie Knight of Community First Real Estate.